EOS Utility is a funny old program, I love it and know it pretty well so when something changes I tend to just work with it and get on. 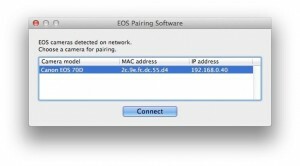 Recently I received a comment from Matt on one of my old blog posts that the process explained to tether an EOS camera with EOS Utility was incorrect. 18 months ago it was working now it’s update time. The steps to pair a camera with your computer are the same on the camera – be it an EOS 70D or EOS 6D. Follow the steps on the camera to save the settings and then press the Menu button to finish. Thanks Matt for the reminder. 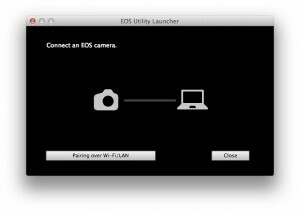 Though the old EOS 6D post was updated to be show how to do wifi tethering with Lightroom 5 and EOS 70D earlier this year too. Earlier this week Canon announced EOS Utility 3.0 and Digital Photo Professional 4.0. At the moment these only work with the latest full-frame EOS cameras, the EOS 6D, EOS 5D Mark III, EOS-1D X and EOS-1D C. I’m working on some new posts about these software versions, however for the time being EOS Utility 2.14 and DPP 3.14 are still being used for all the older cameras including the EOS 70D. I hope that Canon soon aligns the software to work with one version for all the cameras. Our T6i even manages to connect to our router through the DLNA settings, and the EOS utility Wi-Fi pairing software that came with our T6i even shows a laptop icon! If the software that came with the camera shows a laptop icon, and the camera can connect to our router… then isn’t it logical to conclude that the camera can connect to a laptop as is, right out of the box!? )-: Thank you for your time, and a sincere Happy Holidays. I just wish this function was included with our purchase and I thought you might want to know about our experience. 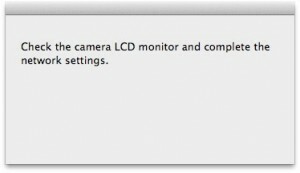 I’ll admit I was a little surprised to see that you couldn’t connect the T6i / 760D to a computer using WiFi when I first found this out. I would assume it’s a product positioning decision made by Canon. If I can add two cents to this very helpful post…I spent days trying to pair my 70D with my Windows 10 machine through EOS Utility. I started with v2.14, but eventually landed on version 3 of the Utility package. In the end, it didn’t make a difference because the Utility will detect your camera type and “downshift” to v2 if necessary. But I was having a dickens of a time trying to get EOS Utility to see my camera. I could connect the 70D to my wireless net, could pair it with my Mac and could pair it with my iPhone, but just couldn’t pair it with the PC. To make a long story short, I finally figured out that I needed to change some firewall settings (I use Avast) to allow the Canon utility packages to function properly. Not a lot of documentation on this part of the connection, so hopefully this will help guide others who may find they hit a roadblock in implementing this fantastic feature. i am in stall eos utility in my computer.1st day i get connect and work properly,but second day camera not detect in my eos utility software ,anyone help what happend 2nd day? I need a little more info. Are you using the camera with Wi-Fi or USB? Which camera? Which OS? If the computer & camera were connected via an existing Wi-Fi network and that network is no longer present, then you’ll need to make a new connection. If the camera was the network and you connected the computer to it, then it’s possible, likely, that once the camera was turned off, the computer found another network to connect to. So when you turn on the camera the next day the computer stays connected to it’s last used network, not the camera one. Hope that helps, if not send some more details please.